Well I hope the season is finding you all healthy and happy. 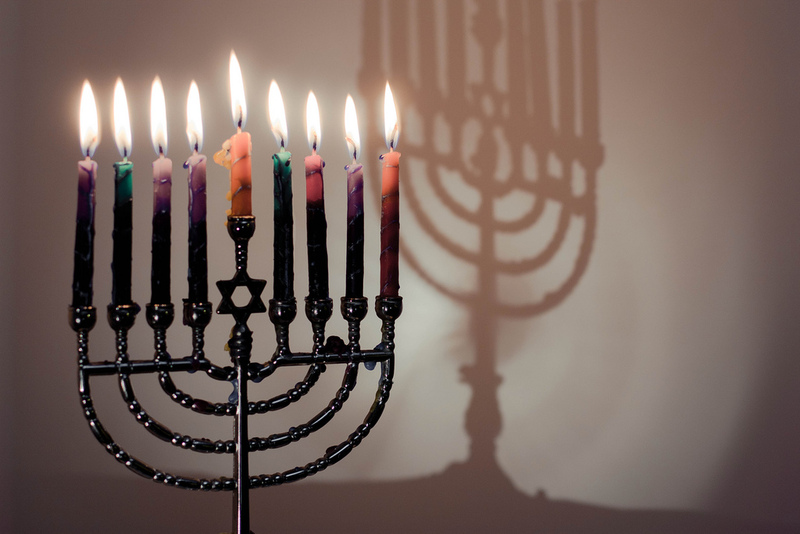 Today is the 7th evening of Chanukah. 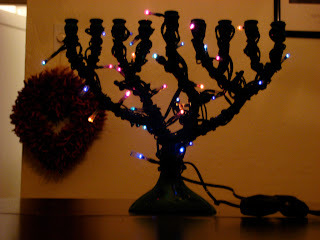 Isn't this an interesting menorah? 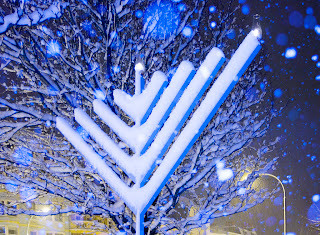 The shamash is over to the left. and the lights seem to glow in the shape of Star of Davids. Wes and Bethany left this morning to go back to Humbolt, IA. Bethany had to be at work this afternoon. Chris, Merri and Tyler came over to say goodbye. Jeff helped Wes put the smoker into the truck along with the presents and their suitcase. After they left, Chris and Merri decided to go do some shopping with Merri's Birthday and Christmas gift cards, and then Leigh and Jeff went off to buy a new coffee maker. Yes we now have a Keurig. I gave Leigh the reusable filter cup for one so we don't have to just use the individual cups that you buy. Tyler and I spent most of the afternoon together. Then Jeff and Leigh came home and each had "Tyler Time". Well have a great evening and day tomorrow. Happy Chanukah! Oh if you are in the area on New Year's Eve - we are having the annual family friendly party at 7pm with New Year's Eve celebrations at 8pm, 10 pm and Midnight. It's a bring a dish and we always have a good time! Each Night is a holy night. And so the children come. To find a babe that may save humankind. They ask: "When and how will this new life end? Or will it never end?" Each night a child is born is a holy night. 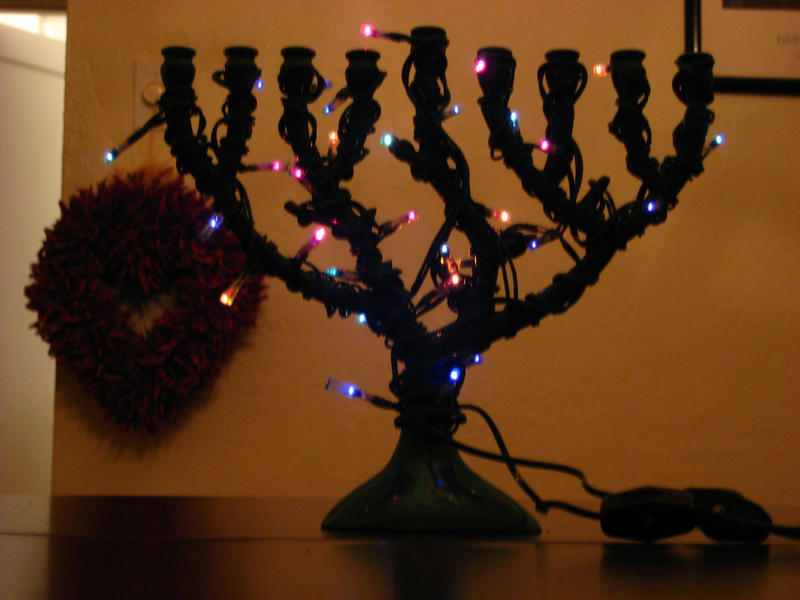 We had Reuben sandwiches in honor of the 4th day of Chanukah, then put decorations up in the living room and Merri, Jeff and Bethany decorated the tree. I went through the ornaments and Leigh feed and spent quality time with Little Tyler. Ryan H. joined us and did a great job holding Little Tyler. 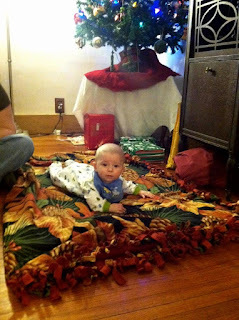 When we were all done with the tree, Chris and Merri spread out my fall leaves blanket on the ground and Wes took a great picture of Little Tyler in front of the Tree. 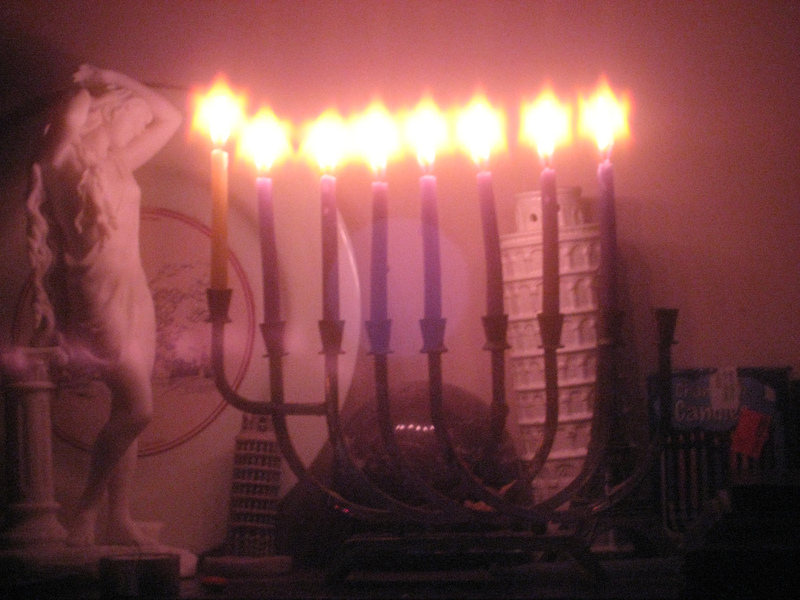 Happy 3rd day of Chanukah and Happy Winter Solstice! So what did you do today to celebrate either of these festivals of light? 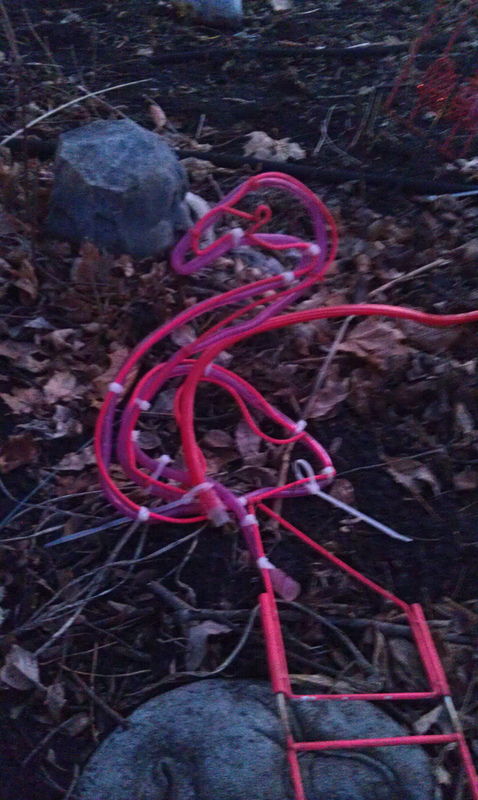 Today I worked on our outside lights. 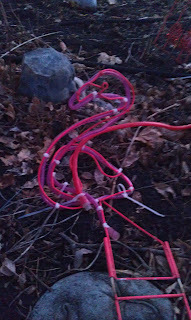 I weeded through all of our Holiday lights and decided I was not going to let the thief of Santa get me down and so I put out some more lights and decorations. Not as much as in previous years at it was a very cold 30 degree F today. 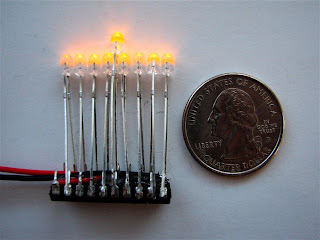 I still have a some lights I want to put out but decided that at 23 degrees F, I will write this post and go to bed hopefully it will be a bit warmer tomorrow during the day. The other things we did today was go to our friend Ping's house for a Chinese dinner. She is such a great cook! We made dumplings and talked and laughed with her, her daughter, Bingqing and Heather. The we tonight is Leigh, Jeff (our middle son) and myself. It was a great time. Too soon it was time to come home. We dropped Jeff off at Christopher Hardy's house for a reunion of the two. Tomorrow Ryan comes home and I am sure we will not see them for part of that time. Well good night all. 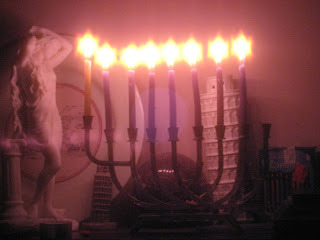 Happy Solstice and Happy Chanukah to all my friends. 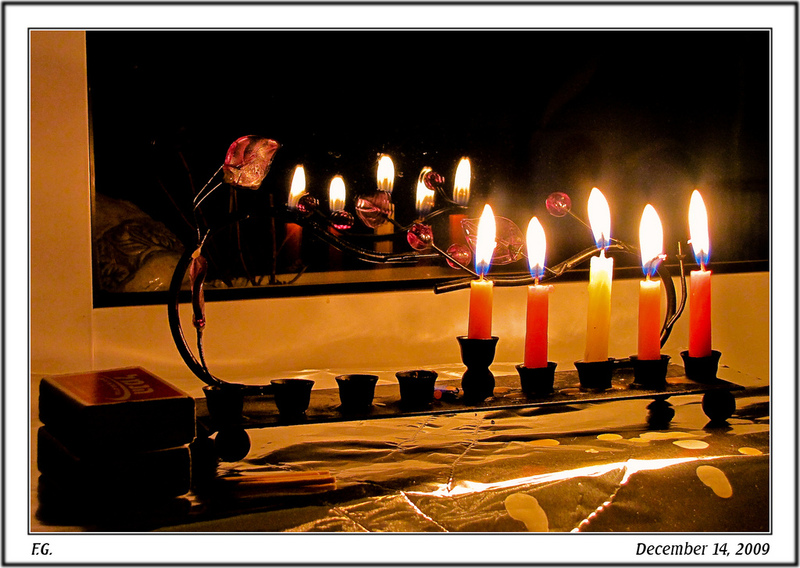 Tonight (the 24th day of the month of Kislev in the Jewish calendar) at sunset starts Chanukah. This festival of lights celebrates the rededicated the temple in Jerusalem during the war with the Maccabees. 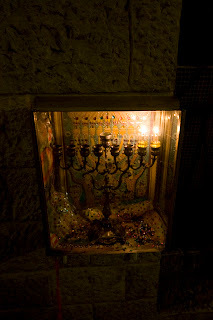 As they rededicated the temple in Jerusalem they found a lamp with just enough oil to light for one night. But with a miracle the lamp stayed lit for 8 days and nights. 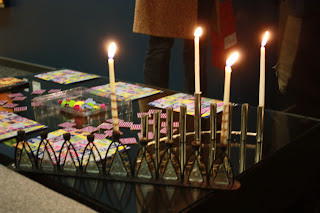 There is a special menorah for Chanukah with nine candles - one for the shamash (this one is lit and the others are lighted using the shamash) and 8 for all the days. There are no special colors for the candles. 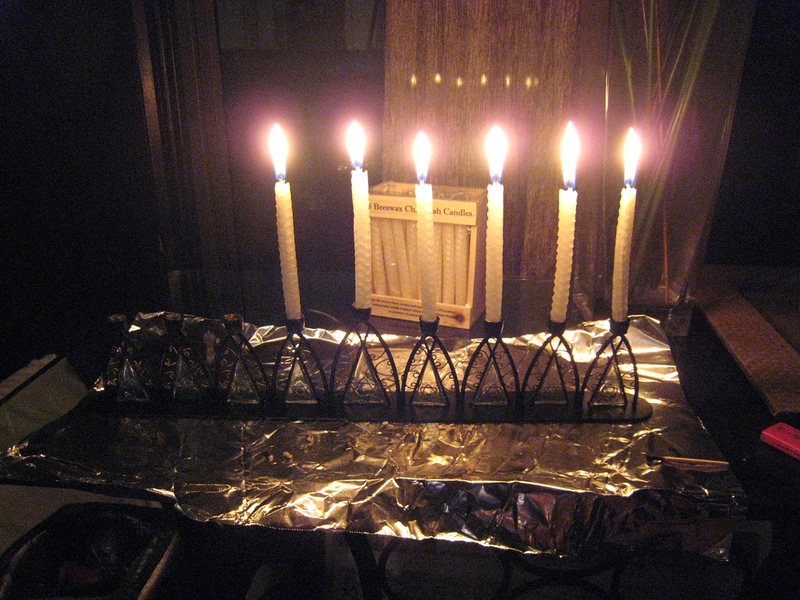 Most of the time the shamash is in the middle of the menorah but it can be at the beginning or set in front of it. Last night President and Mrs. Obama, Vice President and Mrs. Biden started Chanukah early at the White house. More news of the kidnapped Santa! 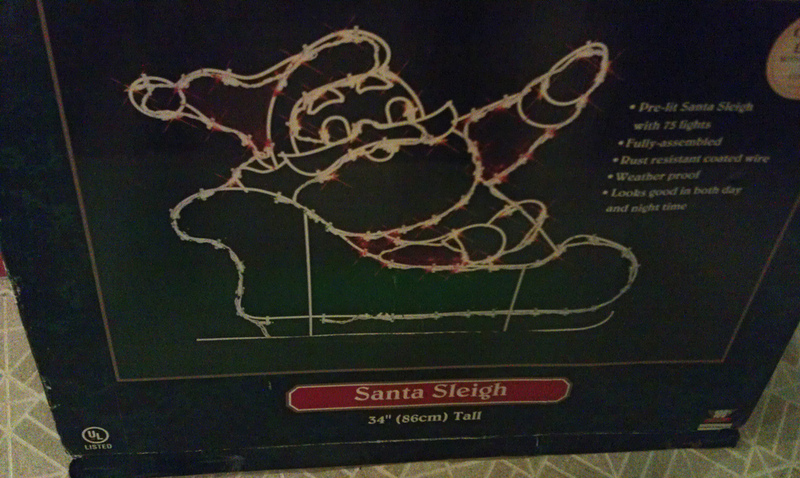 Have you seen this Santa in a sleigh? He was kidnapped from our home on Sat. 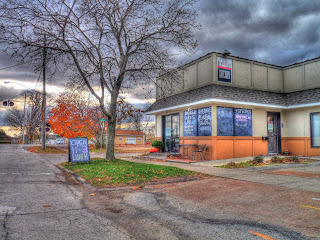 Dec. 17, 2011! All but one of the "Flamingo reindeer" survived the mass attack! Two were badly injured but after surgery are recovering nicely. Three other suffered minor injury and are now back home. 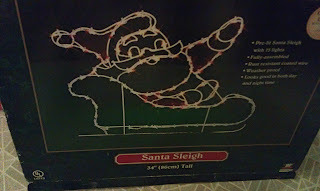 If you see our Santa he is unique in that all the lights had just been redone on the sleigh with one strand of red and two white strands of rope lights. Please bring our Santa home before Christmas! 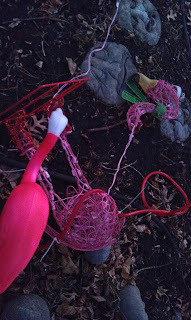 Santa Snatched & Flamingo Homicide! Well Ho, ho ho... so who steals Santa and kills off his flock of flamingos? Is it time to start thinking about New Year's resolutions? If so what will you resolve to do during the new year? Will you try to exercise more? Play games less? Spend more time with your family and/or friends? I decided to research New Year's resolutions and find out what are the most popular. What do you think comes out number one? Special more time with family and friends. What does this say about us? Are we not spending enough time with our families and friends? Numbers 2 through 8 are self improvement: getting fit, tame the bulge, quit smoking, enjoy life more, quit drinking, get out of debt, and learn something new. 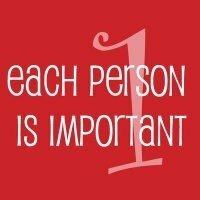 9 is help others and 10 is get organized. So what are you going to do in the New Year. 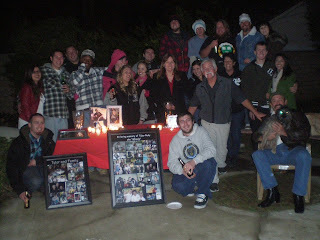 Looks like a good turn out at Karen's for the Worldwide Candle Lighting remembrance of Tyler. We have hit over 6,000 views!! 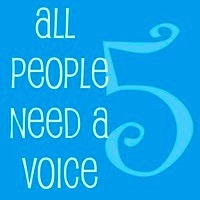 If you want to be reminded of Chalica next year or share your story with others we now have group on Yahoo! On the positive side my dear friend Sophia has been busy working on some new chalice designs. In addition to Chalice Palace she now has a shop at Zazzle called Sophia Rose Fine Art. She has given me permission to show you a few of her copyrighted items. There are just so many and so little space here that I had to pick just a few. Of course the first one is her new Chalica design! mugs,ties, cards, aprons, bags, postcards and even a mouse pad. Some of the designs also come as stamps, on tree ornaments, iPhone skins, pendants, and jewelry boxes. And below for all my friends is a $10 off coupon at Zazzle! 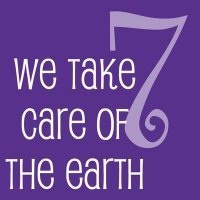 Once a year candles are lit around the world at 7pm for the children that have died. The hope is that the light will go around the world one candle at a time. It is always the 2nd Sunday in December. This is the 2nd year for my family to celebrate the life of our blessed Tyler Joel Rudy that was taken too soon from us last October. His mom, my sister Karen opens her home on this day starting at 6:30 pm for his friends and family. We all miss you Tyler. 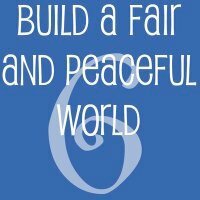 The goal of world community with peace, liberty, and justice for all. Here's what has been happening at the Unitarian Congregation of Saskatoon they put together Chalica kits. 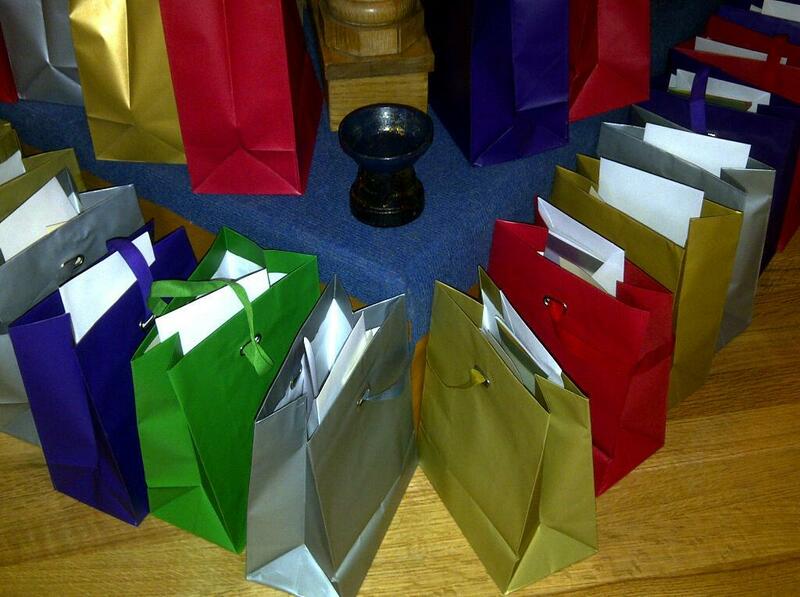 When I asked what are these kits - Mary-Anne Rose Parker sent me this answer: "The Chalica kits were basically gift bags, filled with a flower pot chalice, notepaper and envelope, notecard, penny, and the Chalica instructions that I believe I got from your blog!... I did get the booklet and printed them out for the children." What a great gift for the children! 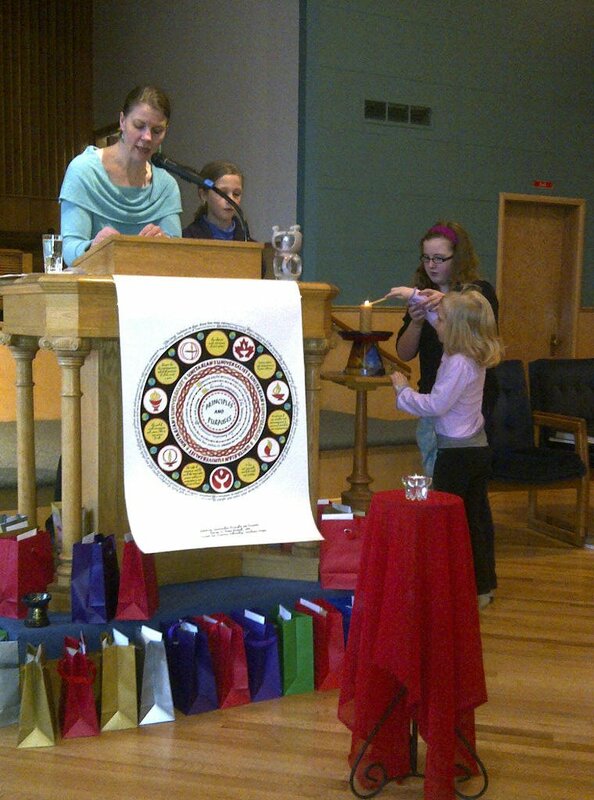 I especially like the small child and the older one working together to light their chalice for their Chalica service. And then they had a part where the "Children's and Adult principles were brought together through candle lighting and colour". Mary-Anne will be writing up how things went and we will post that here next week. So how is your Chalica going? Are you taking time to reflect? I have agreed to help my friend Heather with her project of helping a family that is coming back to the USA and our area on an U.S. Department of Immigration's U-Visa program. One member of the family, Jimy was only 14 years old, had been working 10+ hour shifts and was deported in our famous Postville Immigration Raid in May 2008. He is almost four years older and his family includes 7 others. They have decided to stay in the Cedar Valley instead of going back to Postville. The team will be looking for clothing, furniture & housewares, food & incidentals, money and advocates for the family to help them get settled in a home and school. The family consist of Jimy (18), Reyben (brother, 17), Ruby (sister, 13), Marlene (wife, 18), Alexis (son, 7 months), Esperanza (mother), Pablo (brother, 14), Gerardo (father). They are coming from Guatemalan and thus will not be bringing a lot of items with them. Click Here for more information about this project. .The day started at 9º F (-12.77º C) Brr… The last few days have been very busy with classes ending here at the University of Northern Iowa. Now the weekend and next week will be grading, grading, grading and more grading. But taking a few minutes each day to reflect on Chalica. Today two of the Republican candidates for President got to use their voices at UNI. I have to admit I didn't go see either...I think I just didn't think I would hear anything new, but they still had the right to speak. I got this following video on my facebook wall from my good friend Chris today. 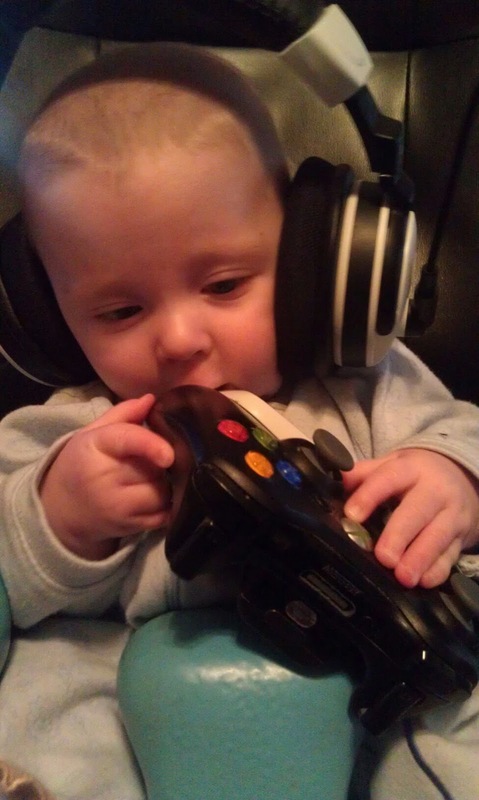 Even little Elijah gets to use his voice. Note he is very quiet so turn on the Capture Captions (the CC) to read what he says. Happy Chalica! The days are moving quickly this year, it is already day four of Chalica. 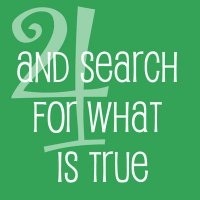 What does the 4th principle, a free and responsible search for truth and meaning, mean to you? **Ideas - check out - Just Do It! has some simple suggestions for each day, Lisa Schwartz has some daily ideas and check out the Chalica! on facebook. TheDays tab has some Adults Suggestions. And don't forget to check out the Children Chalica for ideas for the kids (remember you can freely print out my Kid's booklet also. Quest * was the magazine for the Church of the Larger Fellowship and is now even more as the official website. Happy Chalica! 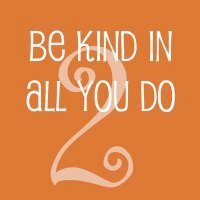 What are you doing today to celebrate Justice, equity and compassion in human relations? I am thinking of attending "Actos Sin Ombre" as they present their simulation on border crossings it was presented last April at the White Privilege Conference in Minneapolis. Again, this is an event that has been well received across the Midwest and would be of interest to students studying intercultural communication and issues related to immigration. Tonight at the University of Northern Iowa, at 5:15pm in Lang 040 and then maybe heading over to a fellow UU's house for a short Chalica service. Last night I went back to my former UU home to celebrate the first day of Chalica with a couple UU friends. 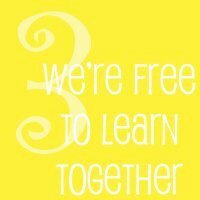 We went around the circle and talked about something related to the 1st Principle. Amazing stories - Sheri had been doing an intake at the food pantry and a family came in and filled out the paper work. Sheri just happened to notice that there were quite a few kids in the household and that one child had just celebrated a birthday and another was going to celebrate one shortly. Sheri told the mother to wait just a minute, went into the back and a co-worker found two cakes for the kids. When she brought them back the mother was very touched and close to tears! And then Jo told about how a co-worker had come up and thanked her for her acts of kindness! Heather told us about the play above and then about her work with a Postville family that had been deported and was now able to come back on this new U-Visa (legally!!). When we finished a few old friends showed up for another meeting and it was good to say hello. Well must run if I want to see the play. Days tab has some Adults Suggestions. And don't forget to check out the Children Chalica for ideas for the kids (remember you can freely print out my Kid's booklet also. 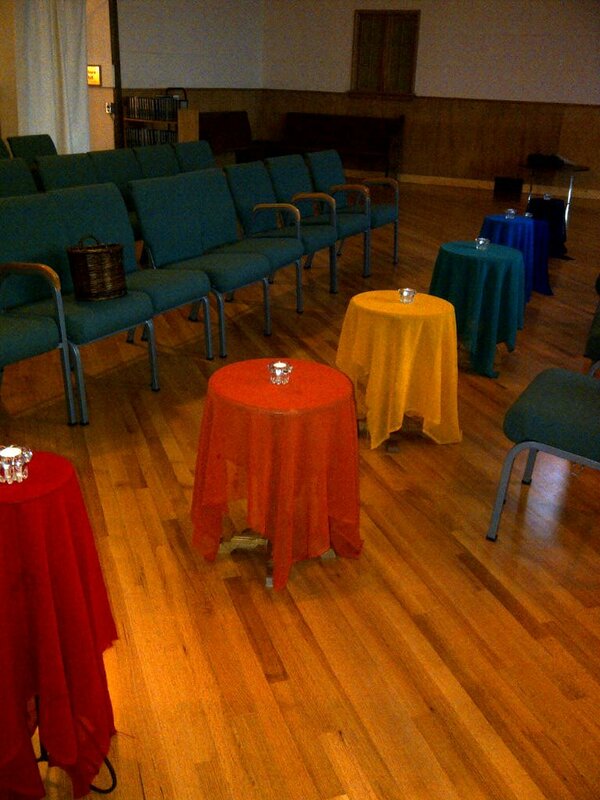 South Fraser Unitarian Congregation (British Columbia) They will be having evening services using Jeff's Videos! 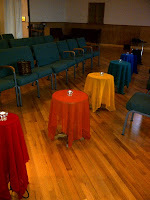 Check out the pictures of the Chalica celebration at the Unitarian Congregation of Saskatoon! They made up Chalica kits to take home. Don't forget to checkout the Saturday's, Dec. 3 post for more info about this year's Chalica. For those of you without a church nearby check out the Church of the Larger Fellowship's new online Quest website. More candles are being light as Chalica catches on and more people are celebrating this fun, non-commercial holiday. All my resources are Creative Commons and so all I ask is that you make sure my name is on anything I have created and that you use. It's been just over a year since I started this Chalica Blogspot and I am happy to say we have had over 5000 hits from all over the world. 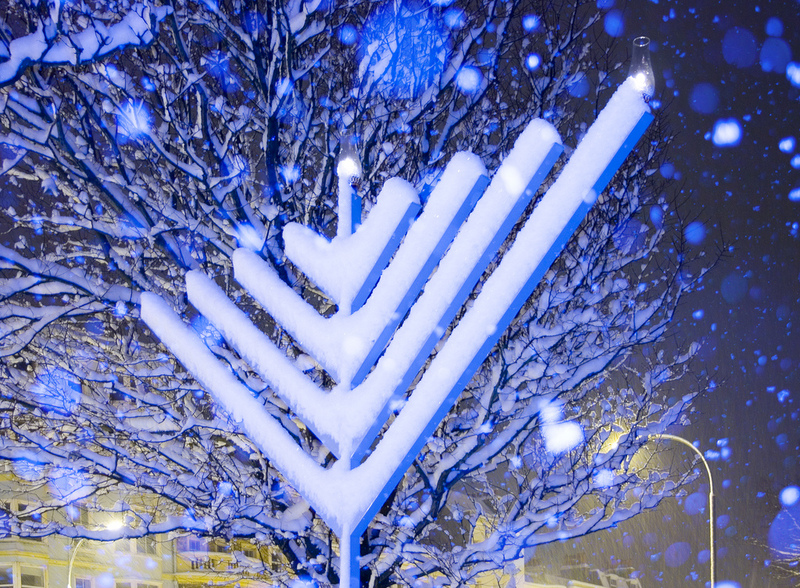 I really hope to hear from you out there as to how you celebrated Chalica this year. You can leave comments here or let me all know at facebook (I'm the only Klink-Zeitz) or email me at klinkzeitz@hotmail.com. Jeff Liebmann has written a wonderful new children's story: Chesna, the Chalica Chipmunk. (Any chance it will become a picture book?) Jeff is the minister at Unitarian Universalist Fellowship of Midland. Last year Jeff made videos called: Chalica Readings for each day of Chalica - they are up on youtube and embedded here on JL's videos. Rev. Lisa Romantum Schwartz has again been busy and written her third sermon "GETS BETTER, RUDOLPH" for her third chalica service. I can't wait to hear it and will link to it as soon as it is posted on her fellowship's web site. And don't forget her children's story, The Story of Chalica. She is putting together a new story for Dec. 4th based on Edward Harris' Meditation on Rudolph the Red-Nosed Reindeer - she will be adding some "It Gets Better" ideas as inspired by Rev. Kent Saleska. She also told me she has a new song this year, but as she doesn't have a pianist for the service we will have to wait a bit more for the song. Sophia Rose of Chalice Palace has reworked our original Chalica image see above and designed a new graphic at Zazzle for Chalica. Check it out and don't forget to look at her other wonderful things at Chalice Palace. She also has a Chalice Palace Facebook page for you social media people. I'll be wearing a pair of her chalice earrings this week and hope to use my chalice cookie cutter to make some gingerbread cookies. ‎ Chalica! created by SophiaRoseFineArt. There is usually one at the Unitarian Universalist Church of Ventura but I don't have verification as of this posting.